Follow the link below or click on the Download Demo icon to the right and enter your details into the form provided, a link to the SimplyPats Demo installer will be sent to the email address you have supplied. Is the SimplyPats Demo Restricted? Yes, you can not download from your PAT Tester, Print Reports or Save Data Files in the demonstration version. You can however open the example file (File > Open File) included and use this to try out many of the features found within SimplyPats. 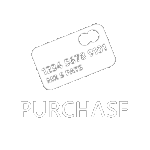 If you decide to purchase SimplyPats, you will need to uninstall the Demo Version before installing the Retail Version.